On the 16th (Tue), admire all the interesting features of Wrigley Field, admire all the interesting features of Millennium Park, then admire the masterpieces at The Art Institute of Chicago, and finally make a trip to Buckingham Fountain. On the 17th (Wed), you'll have a packed day of sightseeing: meet the residents at Shedd Aquarium, then get curious at Museum of Science and Industry, and then take in panoramic vistas at Skydeck Chicago - Willis Tower. To find reviews, more things to do, photos, and other tourist information, go to the Chicago tour planner . Riyadh, Saudi Arabia to Chicago is an approximately 17.5-hour flight. You can also do a combination of flight and train; or do a combination of flight and bus. The time zone changes from Arabia Standard Time (AST) to Central Standard Time (CST), which is usually a -9 hour difference. Traveling from Riyadh in July, expect Chicago to be colder, temps between 33°C and 22°C. Finish up your sightseeing early on the 17th (Wed) so you can travel to Yellowstone National Park. On the 19th (Fri), dedicate a day to the elevated beauty of Mount Washburn. Spend the 20th (Sat) surrounded by wildlife at Grand Teton. 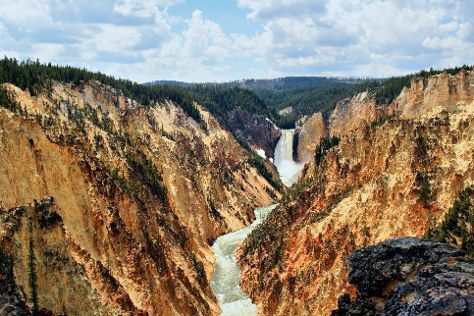 There's still lots to do: take in breathtaking views at Grand Canyon of the Yellowstone, explore the activities along Yellowstone Lake, look for all kinds of wild species at Lehardy's Rapids, and trek along Artist Point. To see traveler tips, more things to do, photos, and other tourist information, read our Yellowstone National Park trip planner. You can do a combination of flight and car from Chicago to Yellowstone National Park in 7 hours. Alternatively, you can do a combination of flight, shuttle, and bus; or drive. Traveling from Chicago to Yellowstone National Park, you'll gain 1 hour due to the time zone difference. Expect little chillier weather when traveling from Chicago in July: highs in Yellowstone National Park hover around 26°C, while lows dip to 4°C. Wrap up your sightseeing on the 21st (Sun) to allow time to travel to Glacier National Park. Start off your visit on the 22nd (Mon): explore the wealth of natural beauty at Waterton-Glacier International Peace Park. On your second day here, stroll through Grinnell Glacier, stroll through Highline Trail, and then admire the sheer force of Virginia Falls. For where to stay, maps, and more tourist information, read Glacier National Park road trip planning tool . You can do a combination of car, flight, and taxi from Yellowstone National Park to Glacier National Park in 7.5 hours. Other options are to drive; or do a combination of taxi and flight. Traveling from Yellowstone National Park in July, things will get somewhat warmer in Glacier National Park: highs are around 34°C and lows about 11°C. Cap off your sightseeing on the 23rd (Tue) early enough to travel to Seattle. Start off your visit on the 24th (Wed): see the interesting displays at The Museum of Flight, meet the residents at Seattle Aquarium, then don't miss a visit to Space Needle, and finally take in the exciting artwork at Chihuly Garden and Glass. Get ready for a full day of sightseeing on the 25th (Thu): view the masterpieces at Glasshouse Studio, take a leisurely stroll along Hiram M. Chittenden Locks, then shop like a local with Pike Place Market, and finally explore the world behind art at Seattle Art Museum. To see where to stay, photos, more things to do, and tourist information, use the Seattle trip planner . You can do a combination of taxi and flight from Glacier National Park to Seattle in 4.5 hours. Other options are to drive; or do a combination of taxi and train. Traveling from Glacier National Park to Seattle, you'll gain 1 hour due to the time zone difference. When traveling from Glacier National Park in July, plan for little chillier days in Seattle, with highs around 30°C, while nights are somewhat warmer with lows around 18°C. Finish up your sightseeing early on the 25th (Thu) so you can travel to San Francisco. San Francisco is known for nature, museums, parks, nightlife, and shopping. Your plan includes some of its best attractions: take in the views from Golden Gate Bridge, stroll through Golden Gate Park, wander the streets of SoMa, and explore and take pictures at AT&T Park. For photos, ratings, where to stay, and tourist information, refer to the San Francisco trip itinerary site . Getting from Seattle to San Francisco by combination of flight and subway takes about 4 hours. Other options: fly; or drive. When traveling from Seattle in July, plan for little chillier days in San Francisco, with highs around 26°C, while nights are about the same with lows around 16°C. Finish up your sightseeing early on the 29th (Mon) so you can go by car to Yosemite National Park. Yosemite National Park is known for nature, trails, scenic drive, museums, and historic sites. 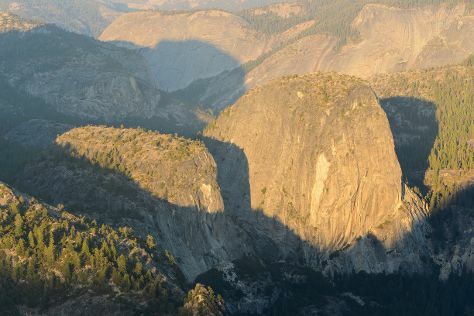 Your plan includes some of its best attractions: explore the striking landscape at Glacier Point, get great views at Tunnel View, tour the pleasant surroundings at Mariposa Grove of Giant Sequoias, and don't miss a visit to Olmsted Point. For more things to do, ratings, other places to visit, and tourist information, read our Yosemite National Park travel planner. You can drive from San Francisco to Yosemite National Park in 4 hours. Alternatively, you can take a bus; or do a combination of subway, flight, bus, and taxi. While traveling from San Francisco, expect somewhat warmer days and slightly colder nights in Yosemite National Park, ranging from highs of 33°C to lows of 9°C. Cap off your sightseeing on the 2nd (Fri) early enough to go by car to Las Vegas. On the 3rd (Sat), try your luck at Bellagio Hotel and Casino, then admire the natural beauty at Bellagio Conservatory & Botanical Gardens, then ponder the design of Bellagio Fountains, and finally shop like a local with The Strip. For traveler tips, photos, and tourist information, you can read our Las Vegas tour itinerary planning tool . You can drive from Yosemite National Park to Las Vegas in 9 hours. While traveling from Yosemite National Park, expect a bit warmer days and much hotter nights in Las Vegas, ranging from highs of 45°C to lows of 29°C. Wrap up your sightseeing on the 3rd (Sat) early enough to travel to Grand Canyon National Park. On the 4th (Sun), hike the day away at Bright Angel Trail. There's still lots to do: trek along North Kaibab Trail, stroll through Rim Trail, take in breathtaking views at Grand Canyon South Rim, and get great views at Lipan Point. To find photos, where to stay, reviews, and other tourist information, go to the Grand Canyon National Park trip planner. You can do a combination of car and flight from Las Vegas to Grand Canyon National Park in 4.5 hours. Alternatively, you can drive; or take a shuttle. The time zone changes from Pacific Standard Time (PST) to Mountain Standard Time (MST), which is usually a 1 hour difference. Plan for colder temperatures traveling from Las Vegas in August, with highs in Grand Canyon National Park at 31°C and lows at 11°C. Wrap up your sightseeing on the 7th (Wed) early enough to travel to Washington DC. Washington DC is known for museums, historic sites, nightlife, zoos & aquariums, and fun & games. 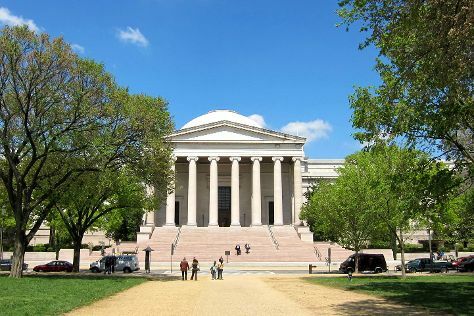 Your plan includes some of its best attractions: explore the world behind art at National Gallery of Art, stroll through National Zoological Park, pause for some serene contemplation at Washington National Cathedral, and get a new perspective on nature at Smithsonian National Museum of Natural History. To find photos, more things to do, traveler tips, and more tourist information, you can read our Washington DC itinerary planner. You can do a combination of bus, flight, and train from Grand Canyon National Park to Washington DC in 12 hours. Other options are to do a combination of bus and flight; or drive. The time zone difference moving from Mountain Standard Time to Eastern Standard Time is 2 hours. When traveling from Grand Canyon National Park in August, plan for a bit warmer days and warmer nights in Washington DC: temperatures range from 36°C by day to 25°C at night. Cap off your sightseeing on the 10th (Sat) early enough to travel to New York City. New York City is known for museums, nightlife, shopping, historic sites, and parks. Your plan includes some of its best attractions: go for a walk through Central Park, make a trip to 9/11 Memorial, appreciate the history behind Statue of Liberty National Monument, and admire the landmark architecture of Grand Central Terminal. To see more things to do, where to stay, other places to visit, and more tourist information, go to the New York City trip planner. Getting from Washington DC to New York City by flight takes about 3.5 hours. Other options: do a combination of flight and bus; or drive. August in New York City sees daily highs of 34°C and lows of 25°C at night. Cap off your sightseeing on the 14th (Wed) early enough to travel back home.